Moumita has 11 years of experience in providing analytical solutions to business problems and helping businesses make data-led decisions. The key areas in which she has driven analytical solutions are Customer Engagement and Analytical Marketing, Predictive Analytics, Lifetime Value Creation, Marketing Effectiveness, Value Build Up, Churn Prevention, Portfolio Management, Product Lifecycle, Index Creation, Pricing and Discount Rationalization. Her efforts have driven value to businesses across domains, like banking, insurance, mutual funds, apparel retail, grocery, QSR, online ticketing, ecommerce, health and beauty and FMCG companies, to name a few. She strongly believes that analytics is a powerful tool that enables fact-led decisions (short term as well as long term), and has its most effective applications when there is a clear measurability attached to it. Moumita currently heads the delivery for both the Mumbai and Gurgaon centres of Cartesian Consulting Pvt. Ltd., a company which aims to be the key driver of data led decisions for a wide range of clients, both in India and abroad, across retail, grocery retail, financial services, QSR, ecommerce, hospitality and health. 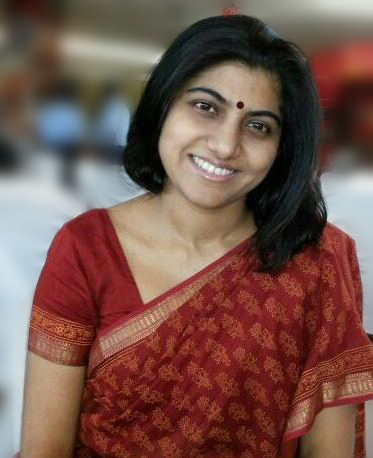 Prior to Cartesian, she had successful stints leading the derivatives analytics unit of J.P.Morgan, and as a key driver of marketing analytics in HDFC Bank. Moumita has a Masters from Indian Institute of Statistics, Kolkata and a Bachelors in Economics from Presidency College, Kolkata.